Quarter Master Clutch Kit - Optimum-V - Dezod Motorsports Inc - Home of the automotive performance enthusiast since 2002. 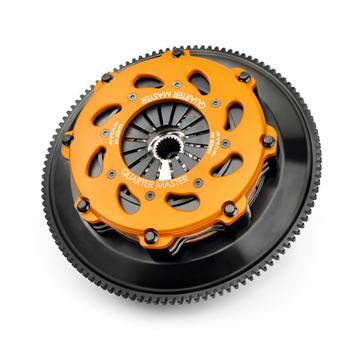 From the NASCAR Cup Series to road course racers, the Optimum-V is the most trusted race clutch in the world. With an innovative open cover design that delivers maximum durability and the industry’s lowest moment of interia for a metallic clutch, the Optimum-V should be your only choice when you want peace of mind that you are racing with the latest in clutch technology.